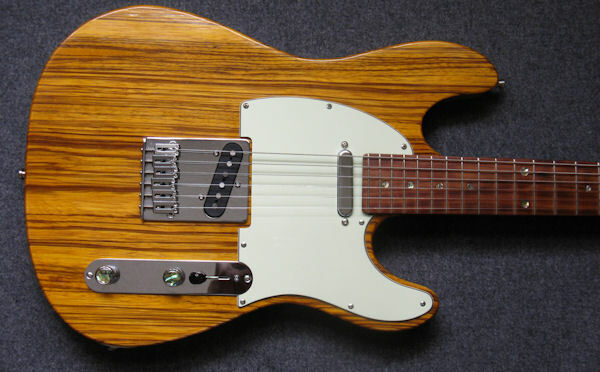 This double-cutaway guitar is an unusual blend of two classic styles. The deep vintage amber stain over the 2-piece Zebra Wood top and one-piece Obeche body, complimented by a mint green pick guard, gives the Hybrid 1 and extra-ordinary visual appeal. 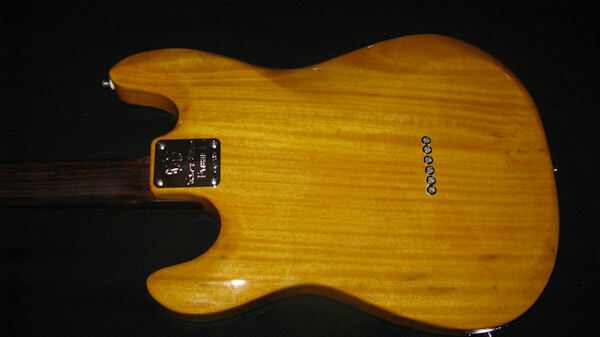 The Indian rosewood neck has a pao ferro fingerboard, inlaid with abalone dots. All these features, plus the chrome hardware, which include control knobs with abalone caps, further enhance its beauty. If you are searching for a one-of-a-kind Custom guitar, Look no further! Beautifully contoured Obeche, light weight body with striking Zebra wood top. Satin-finished Indian rosewood neck, with pao ferro fingerboard and abalone dot inlays. 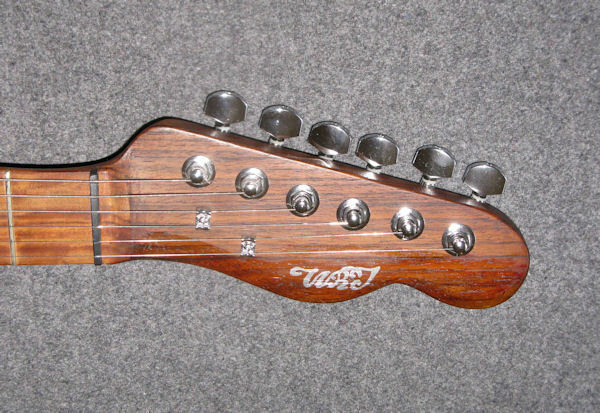 Two-way adjustable 'Hot Rod' internal truss rod for maximum neck stability. 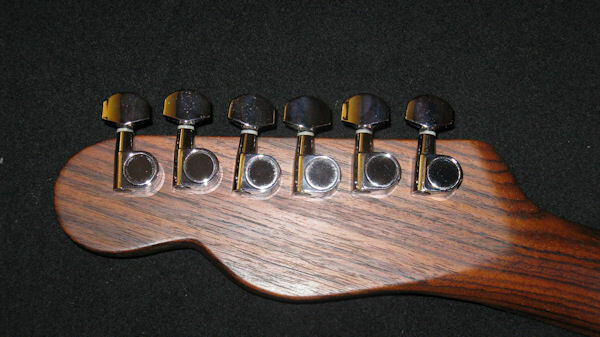 22 highest quality 18% nickel-silver medium frets. 2 Golden Age single-coil pickups that deliver powerful 1950's vintage tones. Bridge pickup has north polarity while neck pickup is reversed wound with south polarity for hum canceling in position #2 of the 3-way switch. Master volume control, master tone control and 3-way pickup selector. Pickup cavities and control cavity thoroughly shielded with 2 coats of conductive shielding paint for noise-free, high- quality performance. Mint green pick guard, chrome control plate and chrome control knobs, enhanced by abalone caps. Chrome-plated brass bridge with 6 individual, fully adjustable saddles. High quality guitar tuning machine heads, with 14:1 gear ratio. Spray finished with Color Tone High-Gloss Professional Guitar Lacquer.